Celebrating America the Beautiful – and Great Skin, Too! 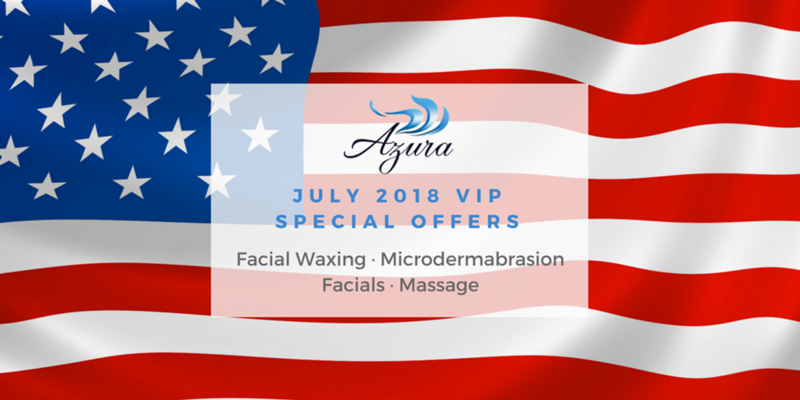 We are celebrating July 4th all month long with buy three, get the fourth free specials on some our of favorite treatments! Keep reading to see what is included and purchase these special packages this month. Come on in and step up to the bar… the brow bar that is! Let our arch experts create that clean, polished appearance that only a fresh brow wax can deliver. 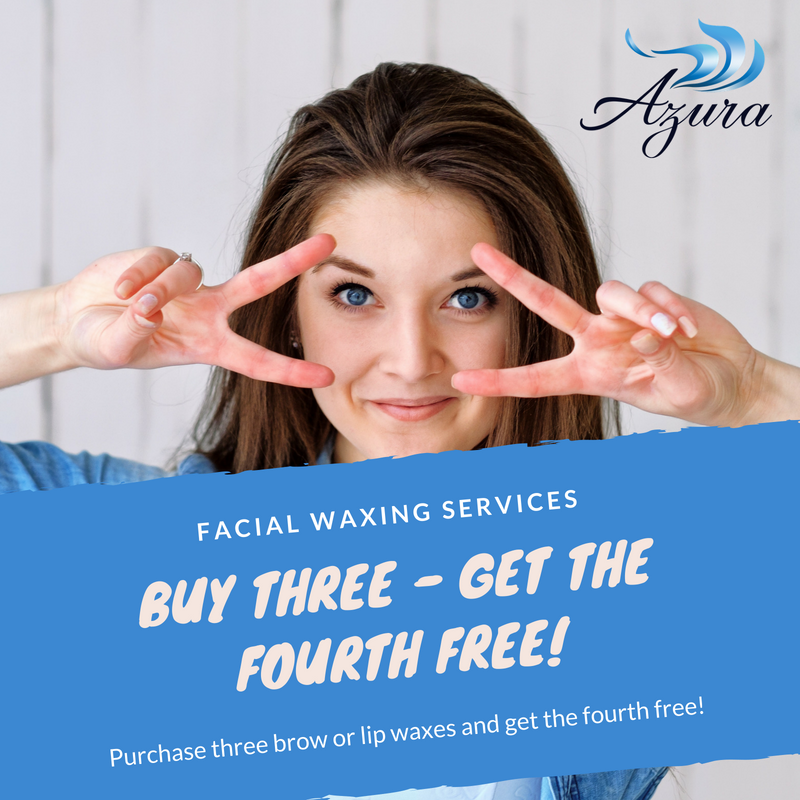 Purchase three brow or lip waxes and get the fourth free! Summer heat dehydrating your skin? 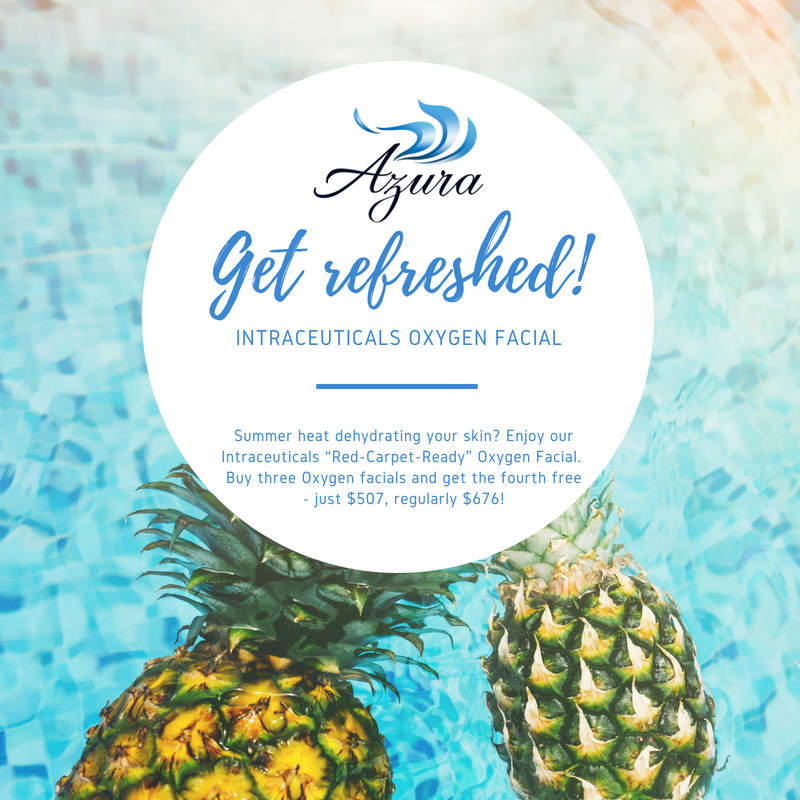 It’s time for our Intraceuticals Oxygen Facial! Get a natural glow, smooth fine lines, and get more bounce back into your skin. Purchase four Oxygen facials for just $507. It’s time to sand your skin – and we do not mean at the beach. Microdermabrasion is a procedure of mechanical exfoliation of unwanted dead skin cells and essentially “sands your skin”. The benefits of microdermabrasion are smoother skin, lessening the visualization of fine lines and larger pore size, lessen uneven pigments and provide a more healthy, fresh appearance to the skin overall. 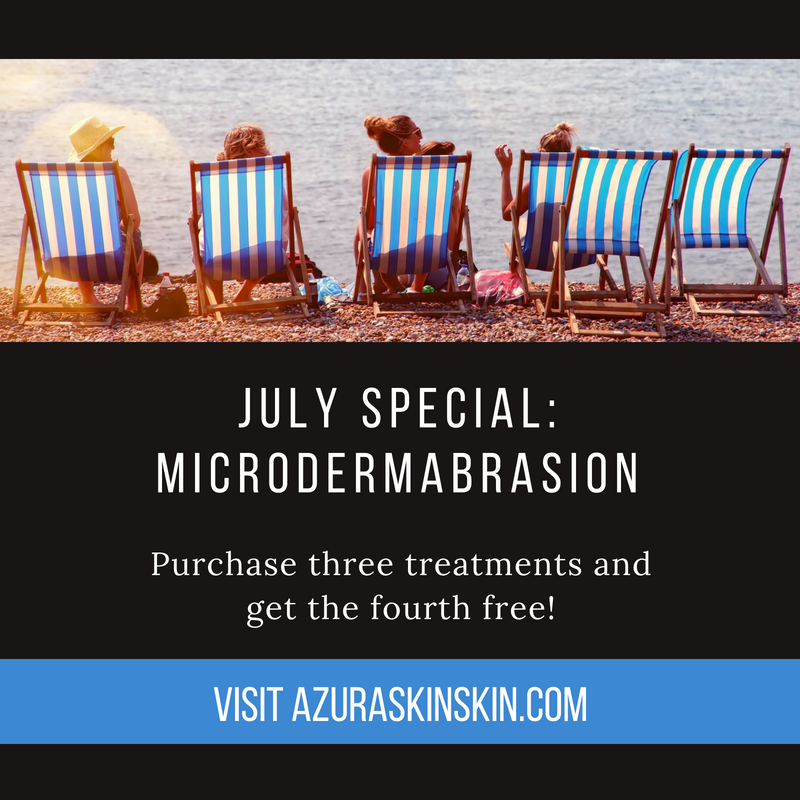 Purchase three microdermabrasion treatments and get the fourth free – normally $340, you get four treatments for just $255. Schedule some “me-time” this July. July can be busy with vacations, family, and celebrations. Make sure you schedule some downtime to take care of yourself. Purchase four 60-minute massages for $285. Purchase four 90-minute massages for $390. 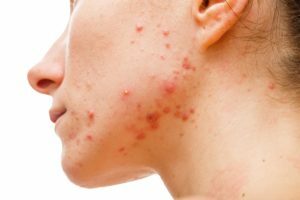 Struggling with teen or adult acne? This medical grade acne treatment will help to unclog the pores, remove impurities including blackheads, whiteheads, and pimples and detoxify the skin for better circulation to the face and adjoining areas. Get ahead of the continual cycle of breakouts by purchasing four treatments for $285, normally $380. Now is the perfect time to stock up on your favorite ZO® Skin Health products. Founded by Dr. Zein Obagi in 2007, ZO Skin Health, Inc. was created to provide physicians and patients with the world’s most innovative and effective skin health solutions. 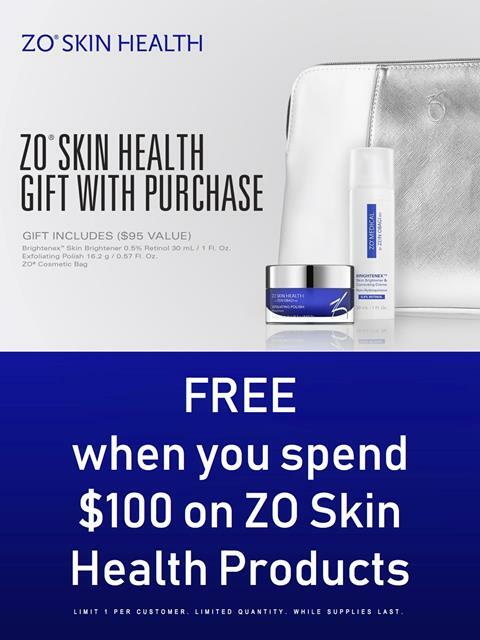 Spend $100 on ZO® Skin Health products in July and receive a free gift valued a $95! Gift includes Brightenex Skin Brightener, Exfoliating Polish, and a ZO® Cosmetic Bag.